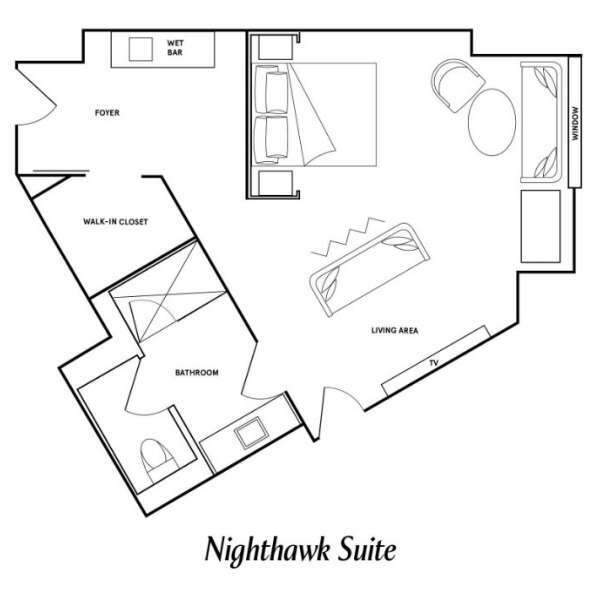 Our "Corner Suite," the Nighthawk has plenty of spaces for entertaining or escaping. 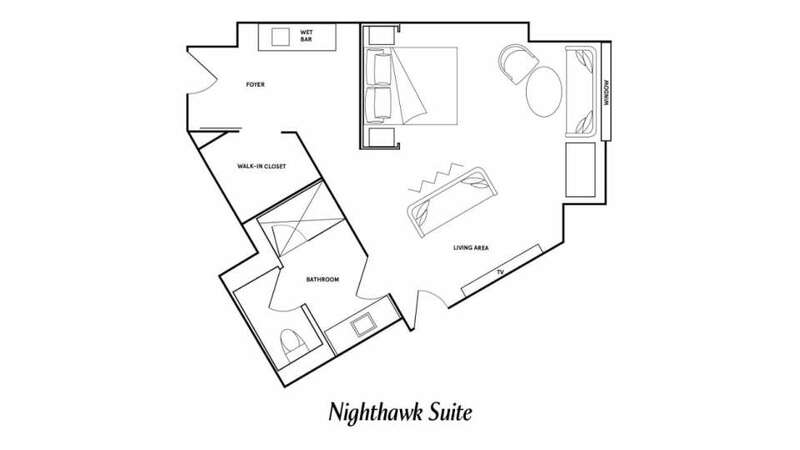 Beside the King-size alcove bed, there's a walk-in closet, extra large bathroom, and two separate living spaces—a sitting area with a 55" television and an entertainment nook with comfy window seating for four. 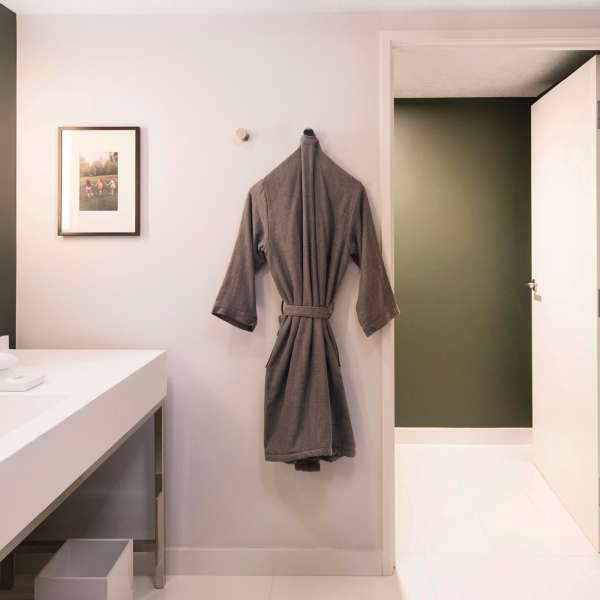 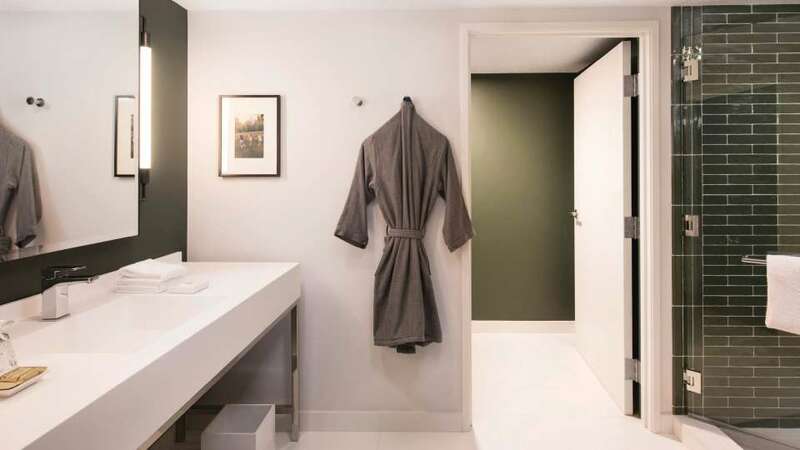 Bathroom in the Park MGM Nighthawk Suite. 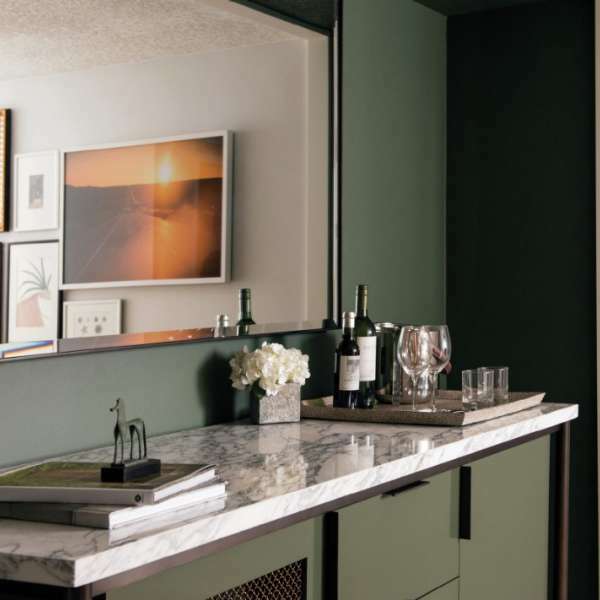 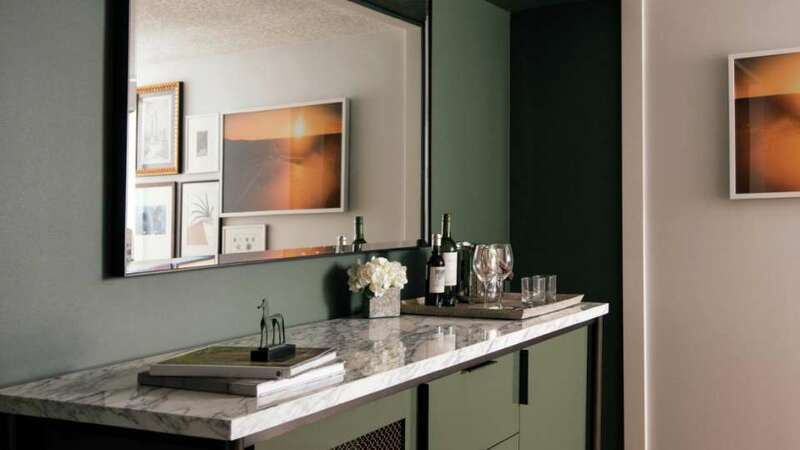 Close up of the wet bar in the Park MGM Nighthawk Suite.